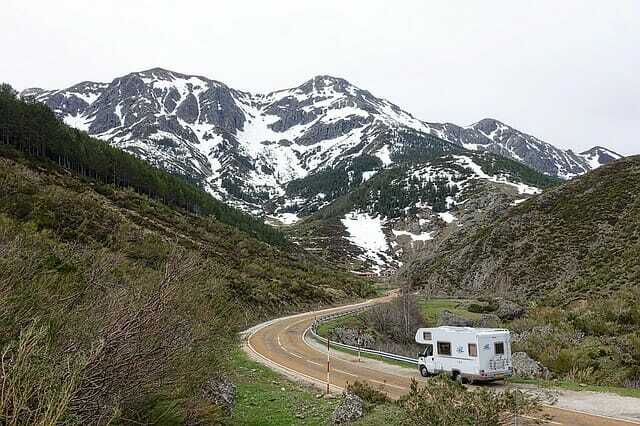 If you have had your RV for very long at all, odds are you’ve either upgraded it, or thought about upgrading it. There are many different ways to get even more out of small space. There are also lots of tips and tricks that can be done to make use of spaces you might not have otherwise thought of. We are going to give you 17 modifications and upgrades that you might want to consider for your own RV. 1. Build A Portable Solar Panel: Adding solar power to your RV will absolutely lengthen the amount of time you can go before needing a traditional charge. You’ll be charging on the go, every time the sun is shining! While there are some limitations, and you’ll need to purchase an inverter to make it function appropriately, it will be well worth it. 2. Under Bed Lighting: If your RV happens to come with a tilt-up bed, as many do, then you have a lot of storage space under there. However, it might be too dark to utilize as you’d like. You can install a light directly under the bed for a better view. You can either have it wired into your electrical system or simply use a “tap light” that can be bought just about anywhere and runs on batteries. 3. Fishing Pole Holders: A lot of RV owners happen to be avid anglers but often complain of having a hard time storing their poles inside the RV. A simple modification using 3M-type wall mount hanging clips can cure that problem. Using these types of mounts are the best way to attach something to an RV wall, as they are thin and may be very close to wiring. 4. Custom Storage Boxes: Working much like toolboxes for the bed of a pickup truck, custom made bumper storage boxes have a great many benefits for extra storage. This modification is a bit more challenging, but can be found at a great many places online, especially from metal fabrication businesses. 5. Slide Out Trash Can: Since space is very limited inside an RV, storing trash can be an obstacle that tends to be very messy. Installing a slide out trashcan into a cabinet area is a fairly simple task. You can buy a kit that works for a regular small sized trash can, just be sure to check the weight limits. If things get too heavy, problems could arise and you’ll defeat your purpose. 6. Sliding Cargo Trays: This works the same way as the slide out trashcan modification, but with the storage area outside the RV. With this one, you will want to work with materials that are more heavy duty, as the weight concern could be a real issue here. 7. Sewer Hose Storage: Storing your sewer hose in the bumper or the built in storage space can be troublesome as well as not providing enough space for the longer hoses that are sometimes needed. Several RV companies make kits that can easily be added to the outside undercarriage of an RV for storage of hoses much larger than what you normally have. And everyone knows your sewage hose can’t be too long. 8. Key Holder: One of the most simple, yet most advantageous modifications is the key holder. No more losing your keys because someone left them “somewhere” and you can’t find them. You can find them just about anywhere, or you can custom make your own with your preference of woods and hook holders for matching your interior. 9. Extensions For Your Counter: Some people who don’t go out that much in their RV may not make great use of their kitchen, but for those that do, a counter extension can be a beautiful thing. This is another item that can be purchased as a kit, but you can also make your own if you wish. Another option is to buy a butcher block cutting board to go over your burner grates if you don’t use your stovetop that much. 10. Lexan Screen Door: Lexan is just like plexiglass except that it is lighter and less expensive at the same thickness level. Having this screen door modification allows you to close up on hot days when you want to run the AC but, at the same time, don’t want to lose the beautiful view or the natural lighting. Fairly easy to install, you’ll wonder why you waited so long to get this mod. 11. Backwards Facing Camera: Do you ever wonder how some people can back their RV a lot more easily than most? Odds are, they have this wonderful modification. They are easy to find, not horribly expensive and easy to install. It makes backing and maneuvering practically a one-person job. At the very least, it will help immensely. 12. Battery Monitor: If you have a battery bank, and especially if you have solar panels installed, you cannot afford to be without this upgrade. A battery monitor allows you to see at a glance, exactly how much of a charge is left in your batteries. You’ll know exactly when you need to recharge and you’ll never be caught in an emergency with no power. 13. Bug Screens: You can purchase these must-have’s at any RV store and online as well to put over vents, plugs and exhausts to keep out bugs, spiders, wasps and an array of other crawling things that you just don’t want in these places. It works especially well at keeping out wasps, which can translate into a lifesaving technique for those with allergies. 14. Flashlight Holder: A very simple modification that can be placed just about anywhere. Just purchase a piece of pvc piping and something to close off one end. Cut it as long as you need it for your flashlight to fit and attach it to the wall where it will be the handiest. You’ll never have to forage around in the dark for your flashlight again. 15. Chalkboard Fridge Door: You can purchase vinyl covering that turns any surface into a chalkboard. Putting this on the front of your fridge automatically turns this usually unused space into a great note-taking center. Keep up with items you need without making an actual list and everyone can add to or take away from it any time. 16. RV Step Rugs: This quick and easy modification can be done just about any time. You can find rug remnants at many different stores including Lowe’s or any carpet store. Just buy a few, cut them to fit and attach them to the steps. No more tracking in snow and rain. 17. Light Replacements: If you are trying to save power between charges, this is one of the very best ways to do it. Replacing regular bulbs with LED’s will cut down immensely on how much power they use.